The Yash Raj Films’ Pyaar Impossible starring Uday Chopra and Priyanka is all set to release on November 20th. This has dampened the spirits of the Paa team, which stars Amitabh Bachchan, Abhishek Bachchan and Vidya Balan. Apparently, Paa’s director R Balki did not want to compete with the YRF venture and so does most of the directors when the film is from the YRF stable. With Pyaar Impossible almost certain for a November 20 release, Paa will now be released on December 4th, sources close to the team say. 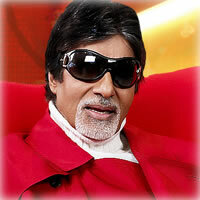 Paa has a novel concept where in Abhishek plays Amitabh’s father. Off on a tangent – Selva’s new plans! A new feather adorns Mohanlal’s cap!